Note: Free admission but you must make online parking reservation with the Getty Villa Malibu HERE. 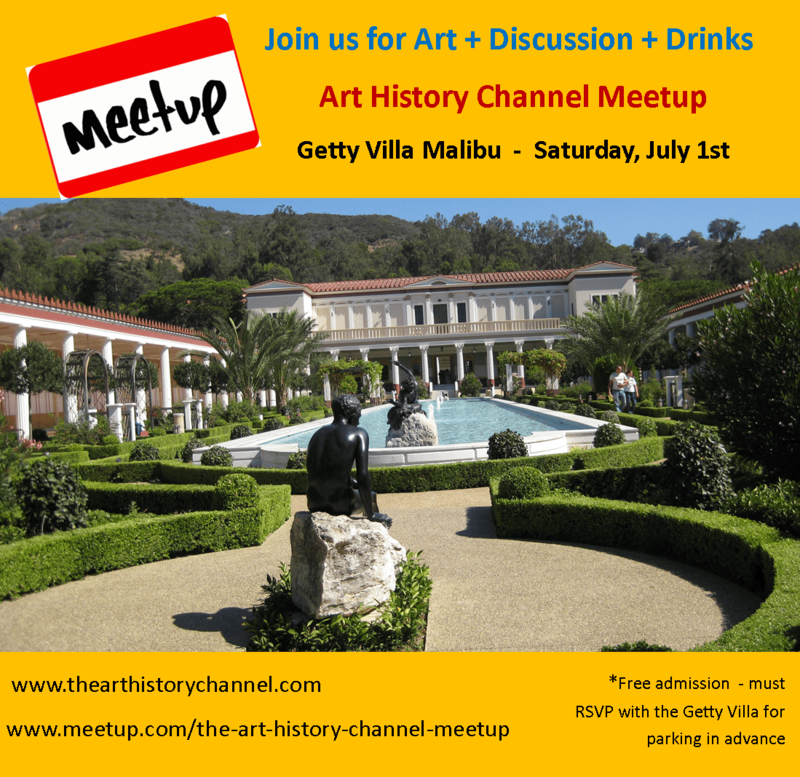 Join the Art History Channel Meetup Group at the Getty Villa on Saturday, July 1st to explore its history, art, architecture and gardens. Make your free reservation to join the group HERE. 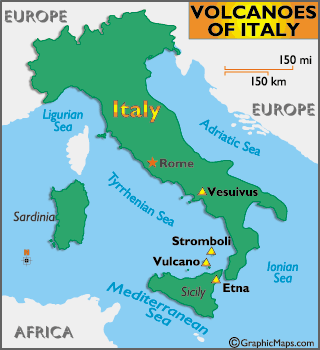 Imagine life in 79AD when Mount Vesuvius blew and covered the ancient cities of Pompeii and Herculaneum in volcanic ash. The Getty Villa is based off of one of these excavated Villas! Also in 79AD, several miles to the northeast, the mighty Roman Coliseum was being built and the Roman Emperor was named, Vespasian. 1st Century Rome was a high point of the Roman Empire and we will see through its art and architecture what life was like as we walk through a perfect example of a Villa at that time. This is our 8th year doing the AHC Meetups and its great way to check out our amazing L.A. area museums and meet cool new people. Please note: you HAVE to reserve parking online before you arrive. Admission is free but it costs $15 per car. Because its a holiday weekend, I would strongly recommend making the reservation now. You can’t get in without an advance online reservation. Make Free Parking Reservation HERE. “The Getty Villa houses the J. Paul Getty Museum’s collection of approximately 44,000 Greek, Roman, and Etruscan antiquities. Over 1,200 works are on view in 23 galleries devoted to the permanent collection, with five additional galleries for changing exhibitions. With objects dating from 6,500 B.C. to A.D. 400, the collection contains monumental sculptures as well as artifacts of everyday life.” quote from Getty Villa. Note: the top floor is closed until 2018 but we have an excellent alternative tour planned with Meetup member, Joe, see below. 11:30-noon Joe (a Getty Villa Docent) will give us a special tour of the history of the architecture and gardens. 12:30: Meet for lunch overlooking the Villa on patio. 1:30: Gallery tour inside the first floor with Sharon and Joe. More details TBA.